In the heart of the world’s most secretive dictatorship, a mysteriously abandoned hotel the size of Chicago’s John Hancock Tower has spent 30 years lurking over the capital city like an evil Christmas tree. Nicknamed “The Hotel of Doom,” it has a design only an evil overlord could love—and a gift for UXers everywhere. North Korea’s ominous reputation as a hostile tourist destination is so well-known that not too many people are keen on visiting. Despite these reservations, The World Festival of Youth and Students, a society then oriented towards spreading communist propaganda to the young, selected Pyongyang as the site for its 13th conference in 1989. 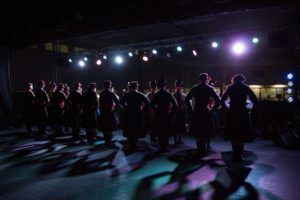 It expected around 20,000 participants. In preparation, North Korea took a variety of logical steps. It built the world’s largest stadium, shipped out all of the short people from Pyongyang, and started a massive construction project on the Ryugyong Hotel, which was to be the tallest hotel in the world and the crown jewel of the capital city. Construction began in 1987, and because it takes more resources and know-how to build a 105-story hotel in two years than most dictatorships have laying around, the building missed its scheduled 1989 opening. Work plodded away until 1992 when construction stopped because North Korea literally ran out of money. That’s hardly a surprise, given that the $750 million (USD) pricetag represented 2% of the country’s GDP, a massive figure for any country to spend on a single building. Work finally resumed on the tower in 2008, despite languishing untouched for 16 years and warnings from international inspectors about its stability. The exterior was finished 2009, but the Hotel of Doom again missed announced opening dates in 2012 and 2013. Today it sits unfurnished, unoccupied, and even unlit, without a single tourist served over its 30-year existence. 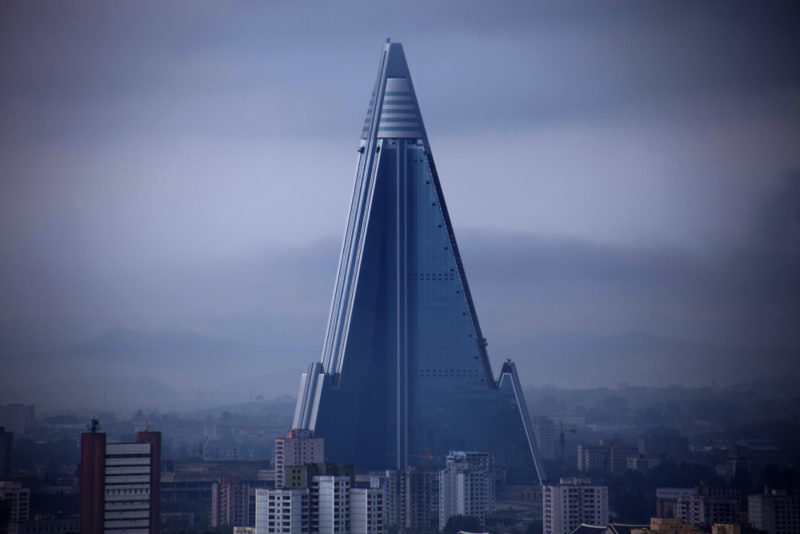 So what can UXers take away from the Ryugyong Hotel? It turns out that there are three big lessons the World’s Worst Building can teach. Governments serve the people they represent. From that perspective, the people are their users. Even cursory user research would have shown a number of ways the money could have been better spent. $750 million dollars would have gone a long way to bolster the country’s woeful economy and feed its starving citizens. Instead of helping its people, North Korea lost track of its user base and started an expensive, time-consuming project that drained its budget and never served a single person. Like a management team bent on building something simply because it looks good, North Korea’s insistence on building a 105-story hotel in the world’s least-welcoming country was a short-sighted mistake that prioritized flash over functionality. It ended up, as these decisions almost always do, as a costly and very public mistake. There was never a need for a 105-story hotel in North Korea. The government suspected there might be a shortage of accommodation for the conference, but never did any sort of study to define the issue. They merely reacted with overkill on a massive scale, and ended up only contributing to other problems. It was designed as a very permanent solution to a short-term problem. Even today, most of North Korea’s hotels are very eerily deserted. IN THE END, the Hotel of Doom still looms over Pyongyang, a dark structure without a single light of hope to shine over the city at night. While there are some signs that work may once again be underway on the building, there is still no timetable for its opening. 30 years after work began on the Hotel of Doom, it is the ultimate case study against many of the design sins UXers fight daily. And that may be the only purpose the World’s Worst Building may ever serve.